So you work for a large organization that uses Slack. While a lot of the tips and tricks we write about here can be useful to anyone, a large-scale team has particular needs and challenges because your work, functions, and interactions can be very complex. 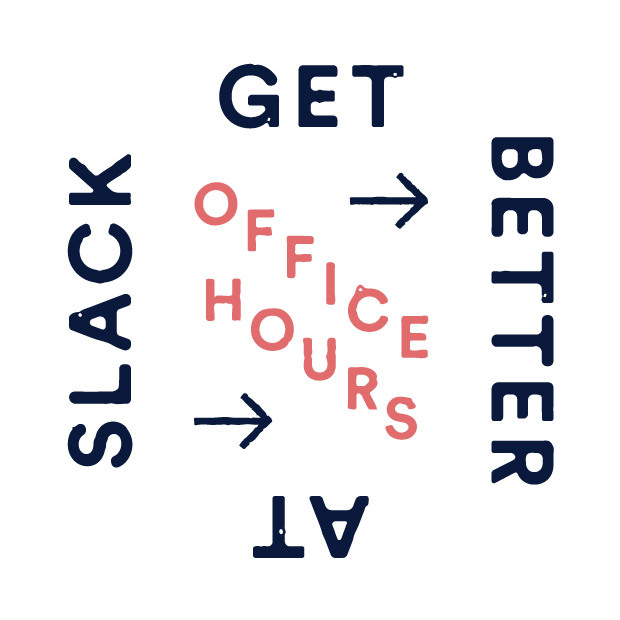 Here are a few things that admins and users on large teams can do to make working together in Slack just as simple and fruitful as it is with a team of any size. Big teams that successfully use Slack have a large number of channels, even into the thousands. In the course of research interviews with half a dozen large organizations, we noticed total channels were often two to three times the number of employees. More channels may sound like more to keep track of, but here’s why that’s a myth: With a greater number of topic- and project-specific channels, groups can focus their discussions among smaller numbers of people. Furthermore, each person can be in fewer channels, because only a handful of specific channels will be necessary for their daily work. More channels on a team doesn’t mean more work when they’re increasingly targeted and organized. There’s actually danger in having too few channels on a large team. Say you’ve got 500 people using just 40 channels total — a single channel would then likely cover many topics and projects that cross several functional groups. Specific information will be harder to track down amid simultaneous conversations about concurrent projects. With a channel naming policy in place, discoverability goes way up. If you ever need to find, say, the mobile design team to report a bug, predictable channel names should make finding them just a few keystrokes away. Larger teams can potentially send millions of messages back and forth each year. While a lot of it is real-time interaction between employees, there will also be details of major decisions, policy documents, company-wide announcements, and other perpetual information and resources. A good way to promote key information inside of Slack is using the pin function to attach any important messages or documents to channels where they originated. It’s also common to archive channels when projects are completed. You can dedicate channels to important announcements and documents, so they’re all in one place. For example, a lot of large teams do this as one of their first steps: limit the default #general channel to only allow posting by select team members, change the name to #announcements, and keep posts to occasional company-wide information. If you’re on a large team with a lot of channels, it’s important to be clear about what each of them is for. Set a descriptive channel topic and fill out the channel purpose, which gives more space to describe why the channel was created. Don’t forget to check the channel info banner before posting messages in unfamiliar channels. If you see a channel has 25 specialists around a subject, it’s probably the best place to ask a related question. If the channel has 450 participants, you’ll want to search in-channel for relevant keywords to make sure your question hasn’t already been answered. Your notification settings are worth review no matter what size your team is, but particularly if it’s very large. Most people can break down their channels into three categories: urgent/vital, normal, and muted. You can set notification levels across all your channels, but you can also customize them channel by channel. For my own Slack team, I have two team channels where I set every single message to notify me since they’re so important. My starred and normal channels follow my default settings to alert me only if people use my @username. For channels I only occasionally review, I keep them muted, meaning they never light up with unread activity, and I catch up on any new messages on my own schedule. On large teams where a lot of people don’t interact every day, it’s a good idea to use custom user profile fields. Add potential fields like office location (great for global firms) or fields for areas of expertise, and let employees indicate who their managers and direct reports are. Sharing a team with thousands doesn’t have to be overwhelming. Got your own tips or questions? Tweet us at SlackHQ. Want to know more about how the largest teams use Slack? Look into Slack Enterprise Grid.